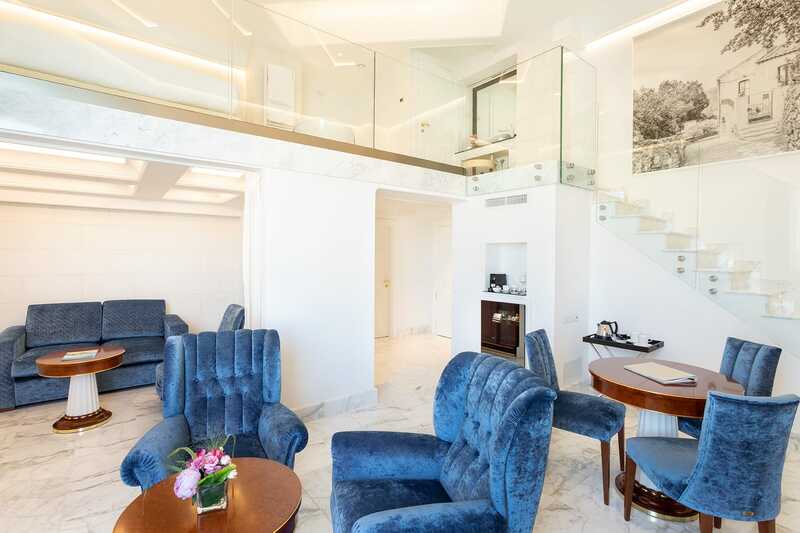 Located on the 3rd floor of the hotel, they have a spacious and elegant living room with leather armchairs, a sophisticated fabric sofa and an exquisite wooden writing desk. 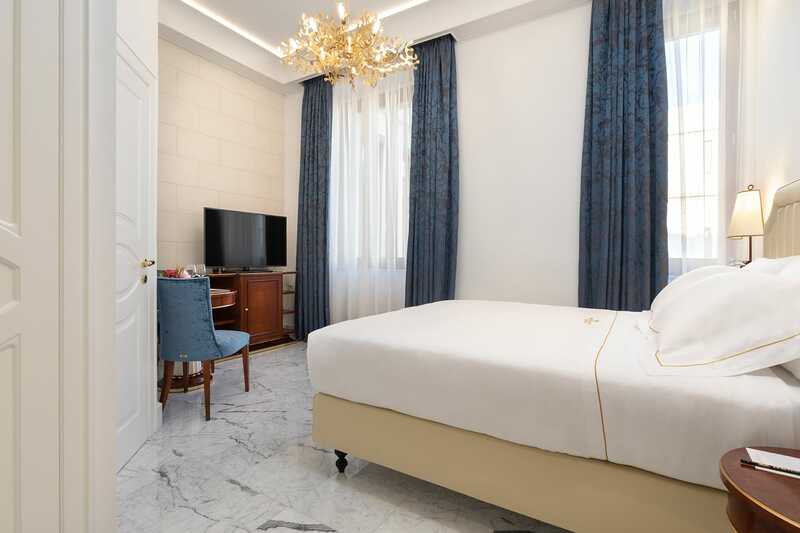 The downstairs bathroom has a large shower and is elegantly furnished. 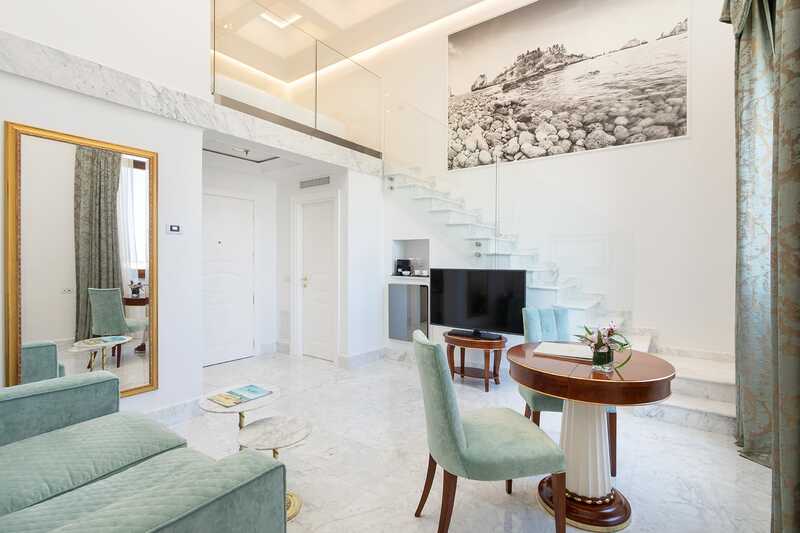 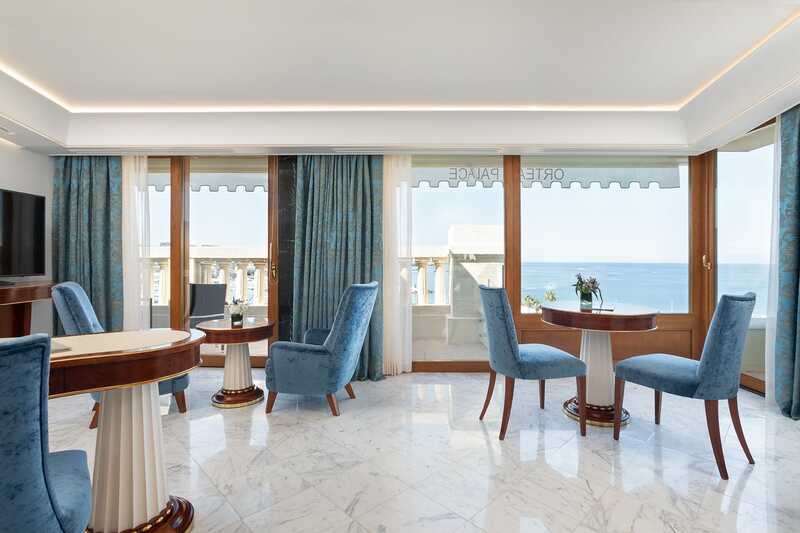 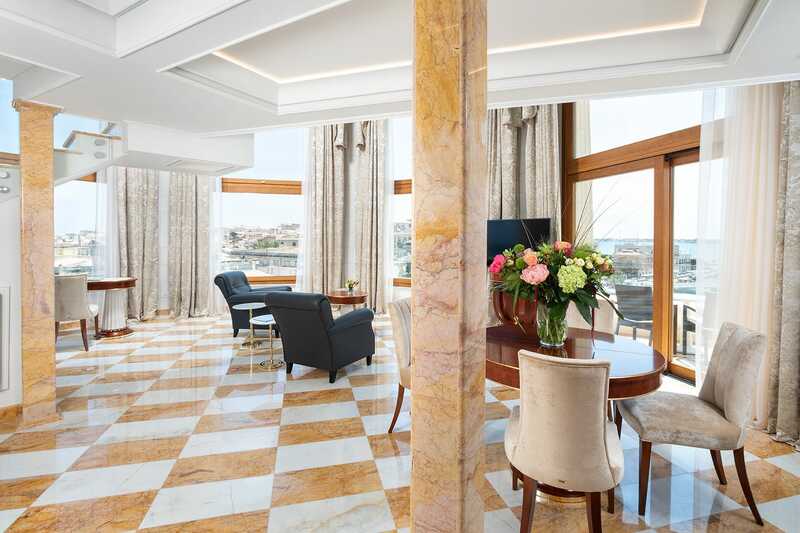 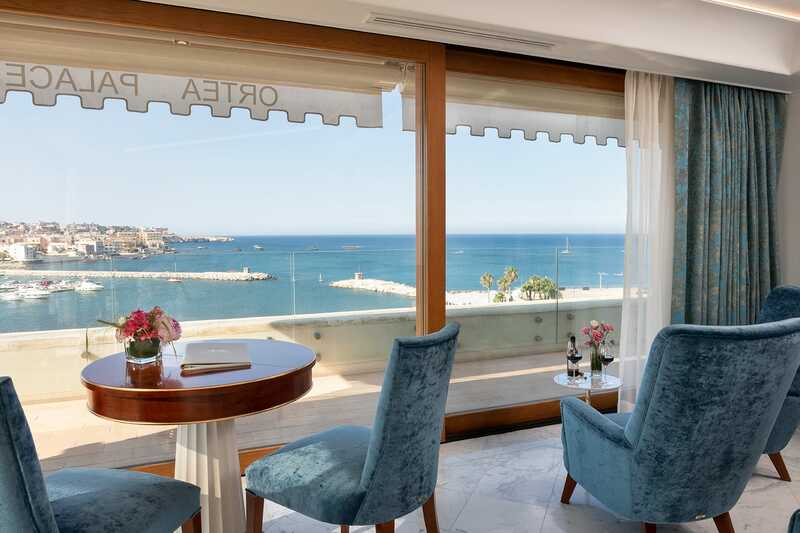 The two balconies, complete with outdoor furniture, enjoy a spectacular view of the Ortigia sea. 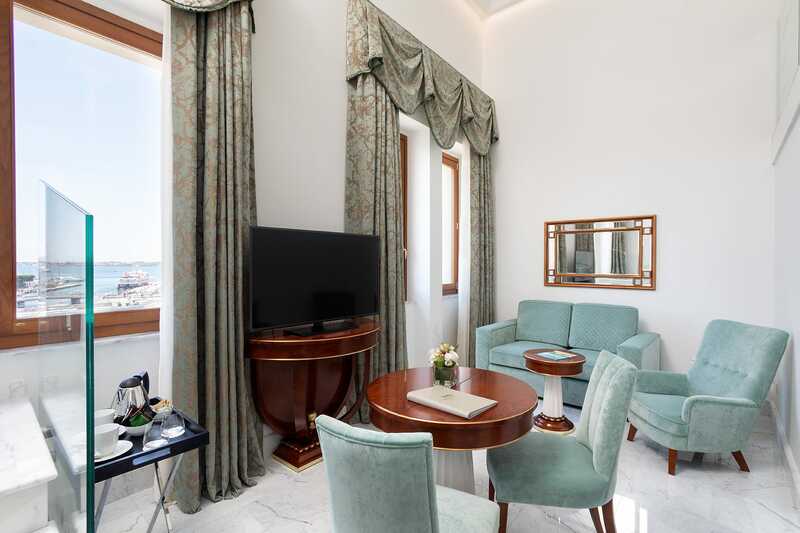 The Tower Suites are the largest and most spacious rooms in the hotel, and reflect an unmistakable style with fine furniture and unique details. 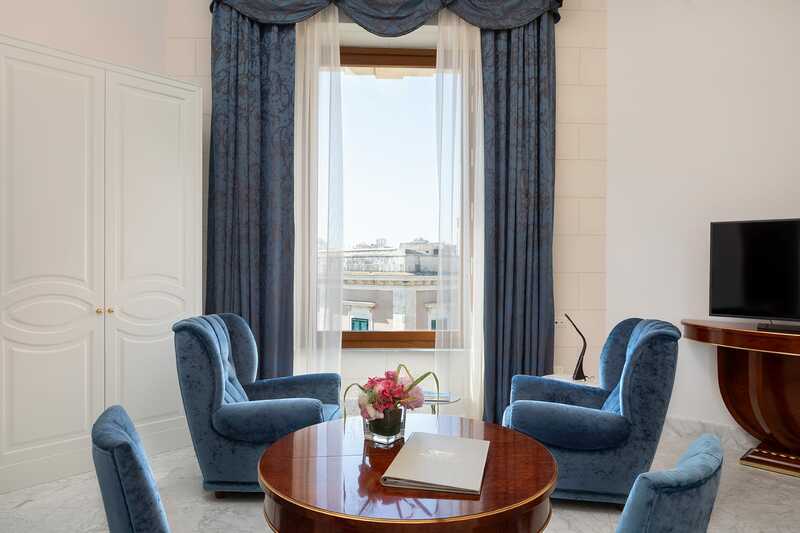 The Tower Suites have the possibility of having a connecting room that can be used for board meetings. 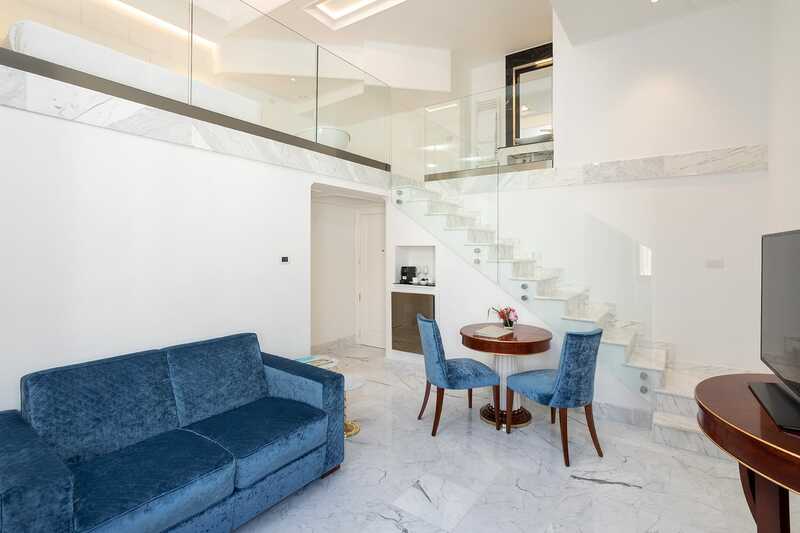 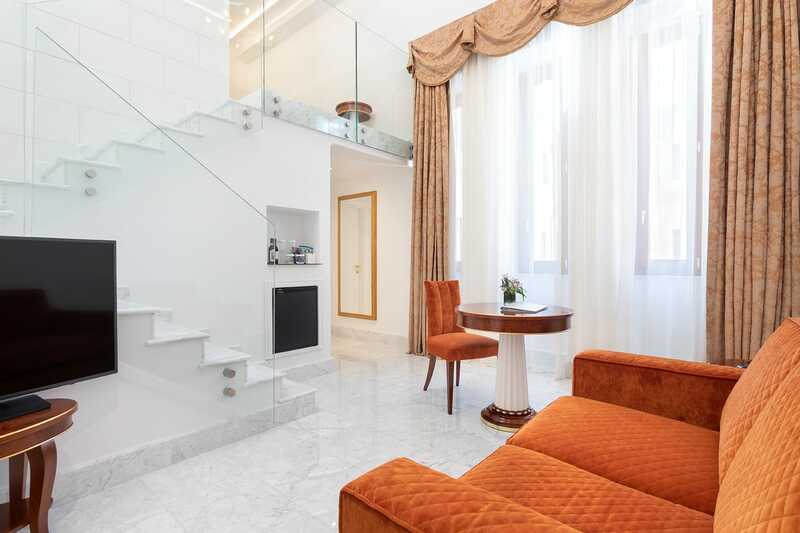 A staircase leads to the upper floor where a large walk-in closet, a tub with a view and a marble bathroom are located, which make them unique, unmistakable and exclusive.